Following a period of notable transformation, MC&C Media have rebranded as ‘The Kite Factory’ to mark the next chapter of business. With the new identity, which was created by branding agency Curious, The Kite Factory aim to shift focus towards “highly creative” media campaigns that are anchored in insight and deliver measurable results. The rebrand follows a £6.6m investment from KCP in 2017, which enabled the next stage of growth for the business by investing in new talent and operational technology. 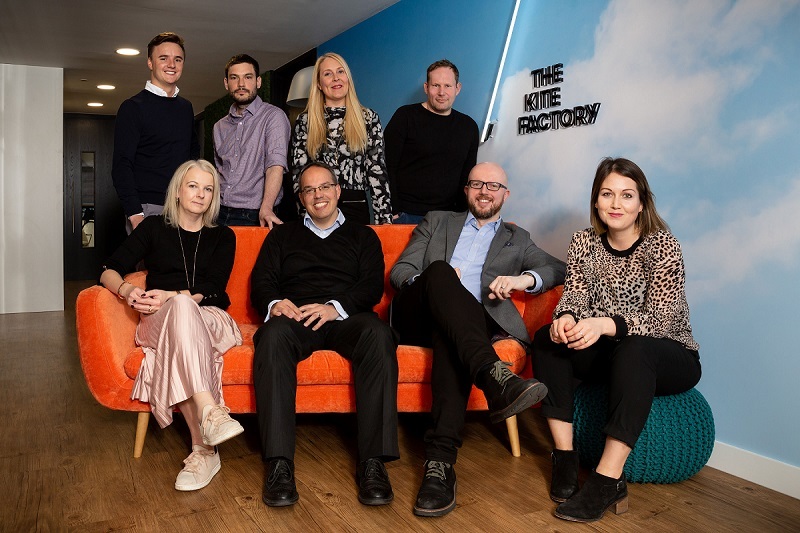 The Kite Factory CEO, Robin Trust, commented: “While we are immensely proud of our heritage in performance marketing, now is the time to celebrate and encourage a broader emphasis on creating brilliant ideas for our clients. According to The Kite Factory, the “refined” strategy has resulted in new business wins including Triodos, the Ethical Bank and Little Freddie, an organic baby food brand. Some of The Kite Factory’s existing clients include Unicef, David Lloyd, Royal Mail, Comic Relief and Flight Centre.